Elizabeth Bishop has garnered the reputation of being one of the finest, one of the most formally perfect, poets of the second half of the twentieth century. 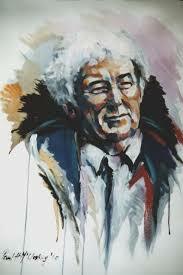 Irish poets Seamus Heaney and Paul Muldoon have testified in lectures and in essays on her poetry, to the unchallengeable subtlety of her work. And if she has been called a poet’s poet she is also pre-eminently a reader’s poet, and a poet whom it is always a serious joy to teach – students come alive when asked to discuss her work, partly because she communicates with an eager, unforced directness, partly because of the wit, the sheer pizazz and style with which she writes. In the 1980s, there was a serious resistance to her work: she never came out as a lesbian, refused to appear in all-women anthologies, guarded her privacy and did not take direct political stances like her friend Robert Lowell. She was seen as insufficiently political, a misreading of her work, which identifies with black Americans, and with the struggle of the poor and oppressed in South America. But she, wisely, does not draw attention to those themes. She designs beautiful cadences, perfect shapes, and then she runs a counter-theme against them: ugliness, bad taste, rough or unbroken surfaces and sounds infiltrate her paradise of pure form and make it both more ideal and more real. 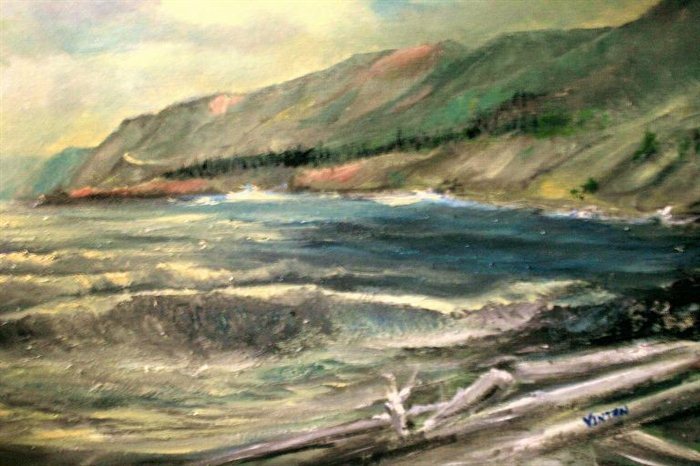 In ‘Cape Breton’, she draws our attention to the “weaving water”, and then offsets it with “hackmatack”, the name of a hard American spruce much admired by Walt Whitman. She also introduces an “irregular nervous saw-tooth edge”, and a “rough-adzed pole”. A gifted amateur painter, she designs a composition which plays the rough against the smooth, and allows a coded unhappiness and anxiety to disturb the surface of her art. Bishop’s personal life – like many other poets – was often unhappy – two lovers committed suicide – and she became an alcoholic as a young woman. Behind the formal façade of her poems, there is a homeless, orphaned imagination, whose loneliness was expressed in her insatiable letter-writing and in late-night phone calls to friends. She was born in Worcester, Massachusetts, on February 11th, 1911. Her mother was from Nova Scotia, her father, who was half Canadian, half American, died in 1911, eight months after she was born. Her mother became deeply disorientated over the next five years, was diagnosed as permanently insane in 1916 and died in a public sanatorium in Nova Scotia in 1934. Bishop lived alternately with her grandparents in Nova Scotia and New England, and later with an aunt. She suffered poor health and hadn’t much formal education until she was fifteen. In 1930 she attended Vassar College and joined a brilliant generation there. Bishop impressed everyone she met – she was musical, very well read, and was also a painter with a great knowledge of the visual arts. She was a compulsive traveller, who manages to avoid all the pitfalls of tourist verse. The roots of Bishop’s art can be traced to her undergraduate years at Vassar, and rather unusually it is to a single academic essay that we must turn to understand her idea of form and beauty. As an undergraduate she read a famous essay by the distinguished scholar, M. W. Croll. It was called ‘The Baroque Style in Prose’ and is one of the classic essays on prose style (it can be found in a collection of essays called The English Language, edited by George Watson). Croll’s concept of baroque style – ‘not a thought, but a mind thinking’ – spoke to Bishop like a vocation. She quoted Croll’s essay in letters to friends, because what she admired in the baroque was the “ardour” and dramatic energy and immediacy of an idea as it was formulated and experienced. The result is a poetry of intense visual and vocal power, where the play of rhythm, rhyme, spoken inflection and carefully composed, sometimes abraded images, has a spontaneity and deft authority whose perfect cadences create that “unique feeling of timeliness” which she sought and admired in poetry. We can see this in ‘Cape Breton’ where she places against the rapid movement of the song-sparrow songs as they float upward “freely, dispassionately, through the mist” – the sudden short, heavily stressed line “in brown-wet, fine, torn fish-nets”. It’s this difference of movement and texture that makes Bishop such a continuously interesting and alive poet. We can see her delight in rapidly changing tones and surfaces in one of her wittiest and most painterly poems, ‘Seascape’, where she describes “white herons got up as angels,/flying as high as they want”. She is making the picture baroque, and her delicate ear starts a run of ee sounds: the herons fly “in tiers and tiers of immaculate reflections”. In the next line the word “region” picks up the ee sound, then hands it on to bright green leaves edged neatly with bird-droppings”. The reason why Bishop appeals so strongly to fellow poets can be seen in the sudden uncomfortable word “edged”, which brings in the idea of a margin and the marginal, as it abruptly breaks the pair of ee sounds in “green leaves”, before letting the sound come back with emphasis in “neatly”. The two ds in “edged” are echoed in “bird droppings” to design an uncomfortable, deliberately bad-taste moment. That moment of unease frays against the aesthetic surface she is designing, a surface she reasserts by transforming their faecal randomness into “illumination in silver”. 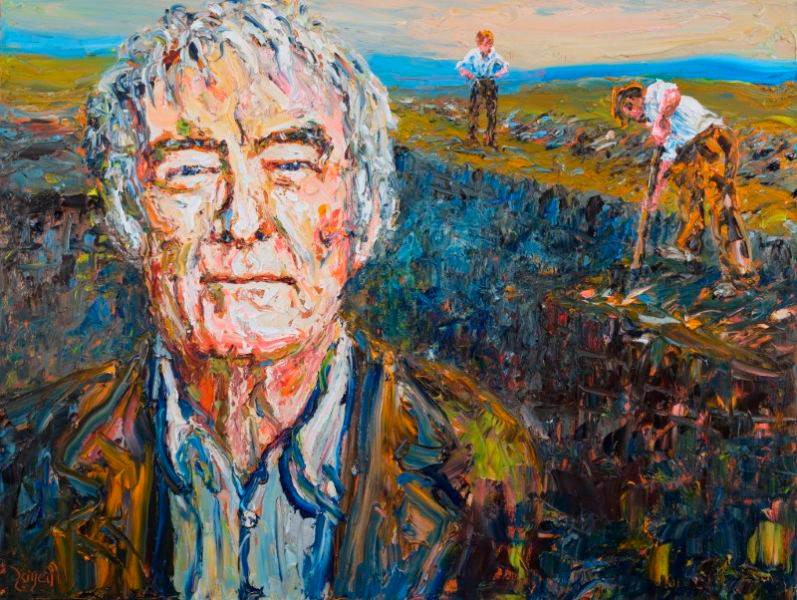 This use of images of discomfort and unease also suffuses Seamus Heaney’s poetry from Death of a Naturalist on – it is as though he has developed the ontological anxiety in her poetry into a form of social and political anxiety. In Bishop, this tension between the aesthetic and a type of anti-aesthetic effect is one expression of her puritan upbringing – it introduces an anxiety into the delineation of a beautiful image, and this discomfiting effect then helps strengthen and make more flexible the particular aesthetic moment. Bishop was also a gifted short story writer (her collected prose has been published), and she was also a marvellous translator. Many of her translations came out of the fifteen years she spent in Brazil, where she moved in 1952 to live with Lota de Macedo Soares. She moved back to New York in 1967, and it was there that Lota committed suicide later that year. 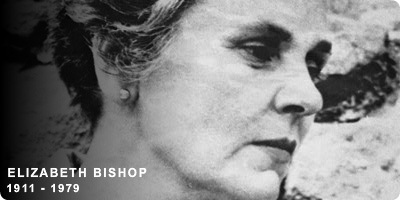 Though Bishop continued to travel, she based herself in Boston and died there on October 6th, 1979. She is one of the greatest American poets of the last century, and is the subject of many books, essays and academic dissertations; 35 years after her death, her work is revered and admired more than ever. Edited extracts from an essay by Tom Paulin first published in The Irish Times, Saturday, September 11th 2004.